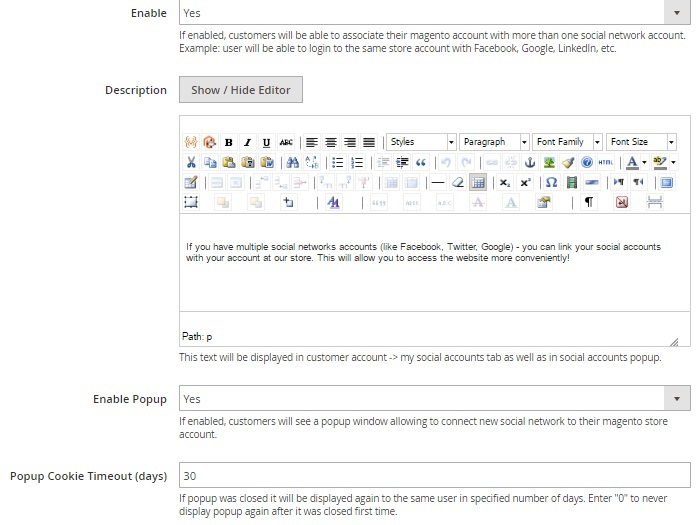 Below, we shed light on a highly anticipated ecommerce feature – social login. 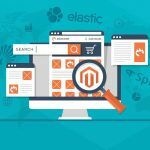 It is not available in Magento 2 by default, but you can easily add the missing functionality with the help of third-party extensions. 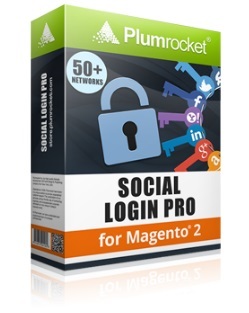 For instance, the Social Login Pro Magento 2 module by Plumrocket provides integration with over 50 social networks and email services allowing your customers to login or register in the most convenient manner. We’d like to start our exploration with not the most obvious aspect of the Plumrocket Social Login Pro Magento 2 extension. As you might have already guessed in addition to make user experience easier, the module makes it more pleasant and appealing by adding a new layer of personalization to online shopping. Social Login Pro allows to create personal experience everywhere on your Magento 2 store. The extension adds a customer photo next to the “User Account” menu. Besides, you can select more places where the photo will be displayed. Thus, personalized experience starts right after the registration procedure and ends when the purchase is made. As a store owner, you get the ability to collect profile data including emails, names, locations, gender, birth dates, ets. This profile information can be utilized in further marketing campaigns, making them more precise and effective. For instance, with a list of birth dates, you can provide customers with gifts, such as coupons, for their birthdays. As for the obvious features of the Plumrocket Social Login Pro Magento 2 extension, it allows you to simplify the life of your visitors. Since the module enables you to add the social login functionality on a customer login and registration form, your potential buyers get the easiest way to create an account or login to the existing one. 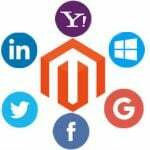 Furthermore, the Social Login Pro Magento 2 module allows to share your store with friends on various social networks. The functionality appear right after a new account was created via the social login feature. As a result, you increase social traffic and consequently sales with one simple improvement. Besides, the extension is designed to decrease cart abandonment rate. It is possible since there is a certain amount of abandoned carts caused by a complicated registration procedure. Install the module, and you will solve the problem. 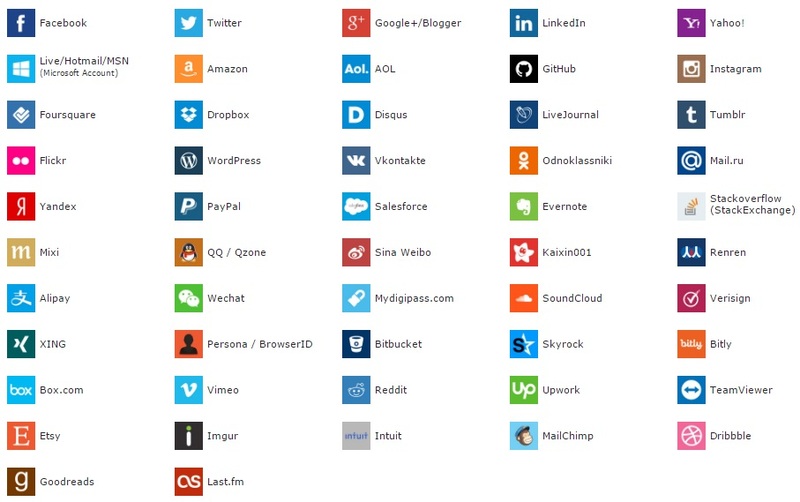 Furthermore, there is even a social checkout available with Plumrocket Social Login Pro. And it is hard to overestimate this feature. We would also like to tell a few words about the unreliable user data issue. Of course, unreliable information can be used in social accounts, but it happens less often than in case of creating a new account on an ecommerce website. Other security improvements include the eliminated necessity to store a password on a Magento 2 website as well as always correctly entered email addresses. Both are based on the core extension’s principle – all the necessary data is retrieved and verified from social networks. Plumrocket provides the ability to submit a request to add new services. 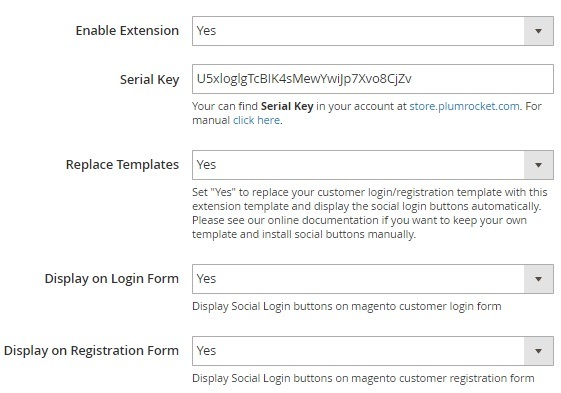 You can configure the Plumrocket Social Login Pro Magento 2 extension under Stores -> Settings -> Configuration -> Plumrocket -> Social Login Pro. 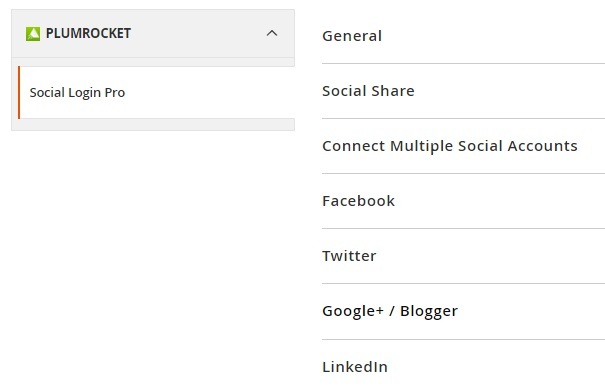 There are 3 main sections here: General, Social Share, and Connect Multiple Social Accounts. Next, you can configure each social network separately. In General settings, enable the extension and specify its serial key. Next, decide whether to replace templates or not. If “Yes”, the existing registration/login template will be replaced. If “No”, you should perform a lot of manual work configuring your template with the extension. 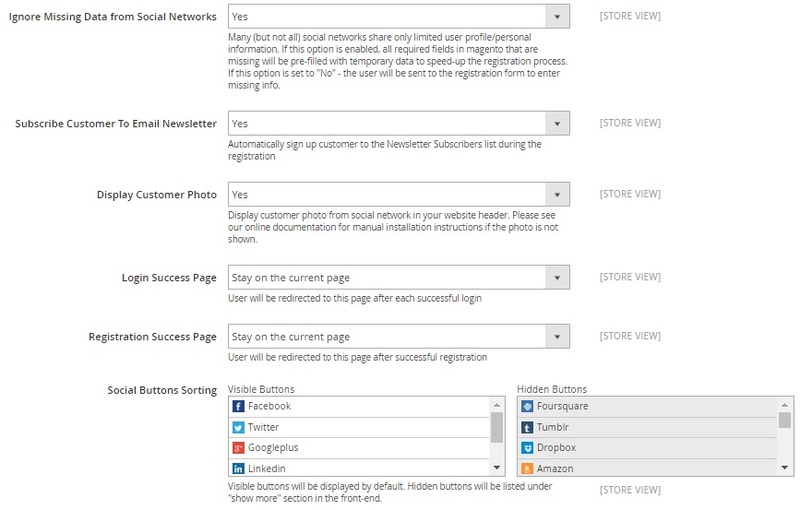 Two other options allow you to show/hide social buttons on login and registration forms. As for “Ignore Missing Data from Social Networks”, it allows you to pre-field missing information with temporary data to speed the registration. If the feature is disabled, a customer will be redirected to a full for where he or she will be able to provide the lacking information. There is also an option that allows to subscribe customers to the newsletter automatically while they pass the registration procedure. 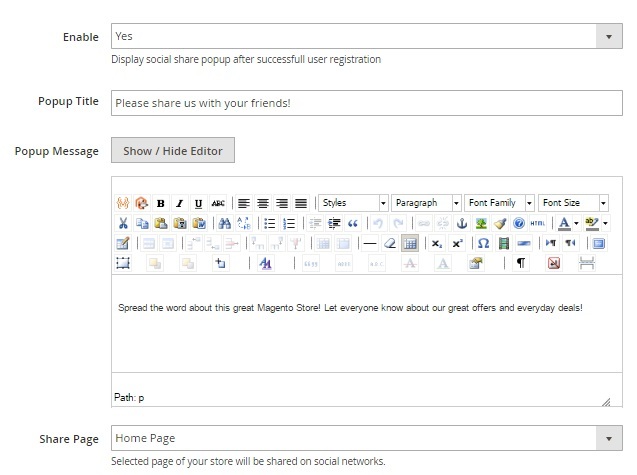 Next, you can enable/disable the display of customer photos on your Magento 2 store. Besides, it is possible to select what to do with customers after successful registration or login: leave on the current page or redirect to a specific page or a custom URL. And the last option in this section is responsible for social buttons sorting. There are two columns each of which contains a list of services. The first one is filled by visible buttons, while the second section contains hidden buttons that are listed in the “Show More” section. In Social Share, you enable/disable the feature, specify the popup title and message, as well as select a page that will be shared. As for connecting multiple social network accounts to the existing customer account, this feature is possible with the Plumrocket Social Login Pro Magento 2 module. Enable the feature, create a description, enable the appropriate popup window, and specify popup cookie timeout (after this period the popup informing about the ability to connect multiple account will be displayed again). As an example of social network settings, we’d like to describe a tab related to Facebook. 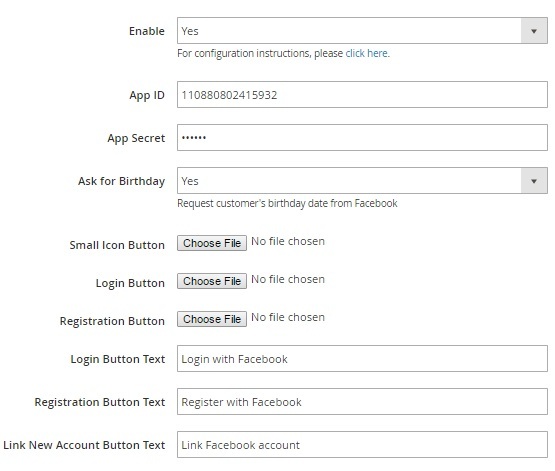 Here, you enable/disable login and registration with the help of this social media service, specify app ID and secret, enable/disable “Ask for Birthday”, choose icons for buttons and specify various text messages for them. Login and registration have been never so easy. It is only necessary to click just one button to achieve the desired goal. Such simplicity essentially improves the default shopping experience of Magento 2, reducing cart abandonment, increasing sales, and providing lots of customer data. If you are looking for convenient login and registration procedures for a Magento 2 website, get ready to spend $149. 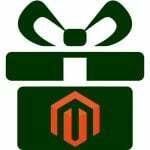 As for Magento 1, the appropriate module can be purchased for only $99.